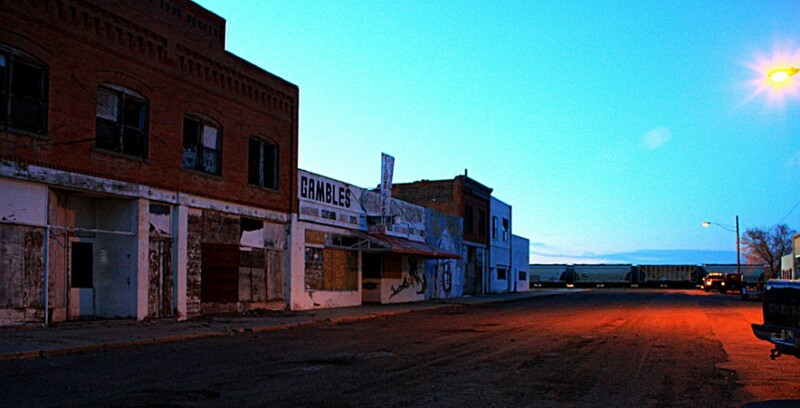 Though the “ghost town” is often associated with the American West, there are abandoned places all over the world. SOME TOWNS GROW QUICKLY from the ground up, surging in population. People arrive to work in the mines or factories and build their lives on the frontier. Some towns last, but not these. 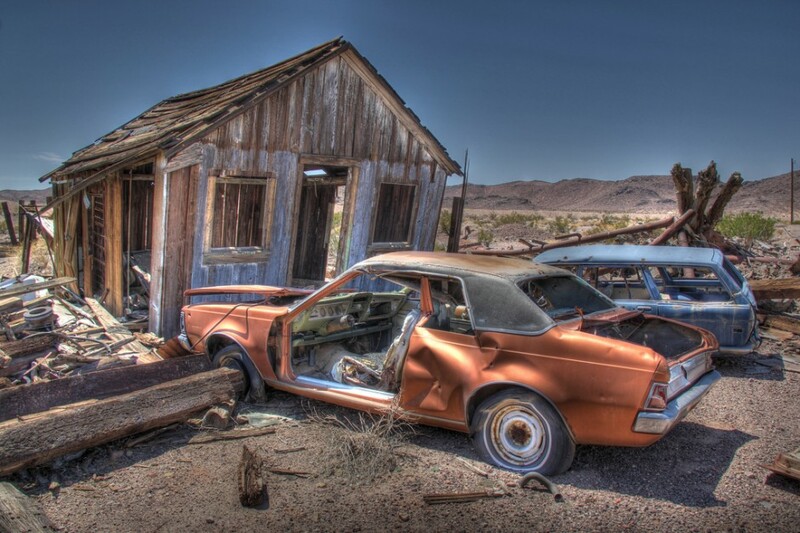 The photos below capture the way things look after people leave. Accompanying each image is a description of place — places that for all intents and purposes no longer exist. 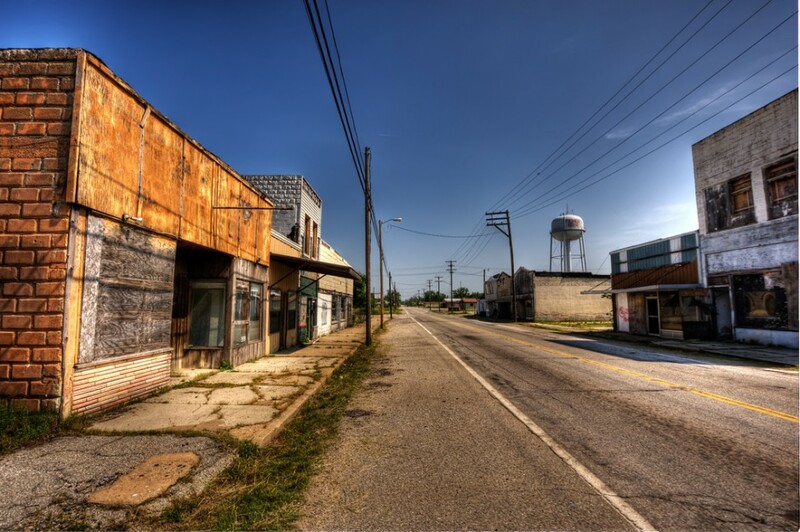 Many of these old towns had once been thriving county seats, but as commerce left and transportation corridors changed, the glory faded, creating Alabama's ghost towns. 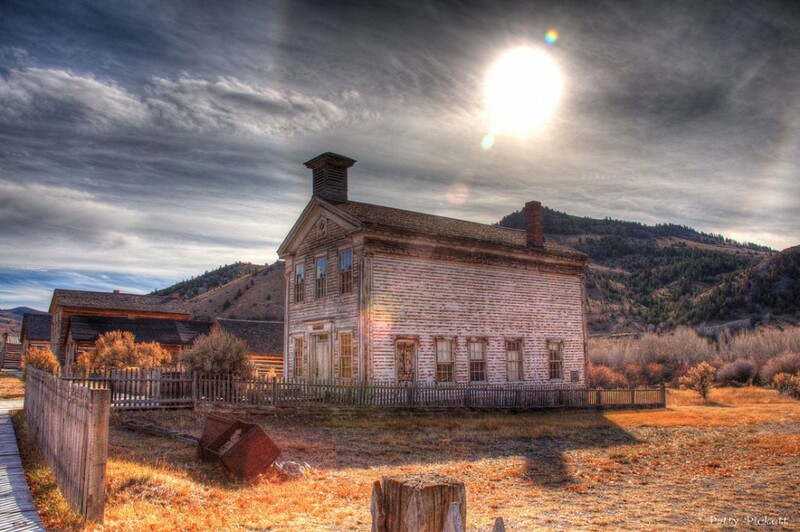 Bannack was named after a local Indian nation. 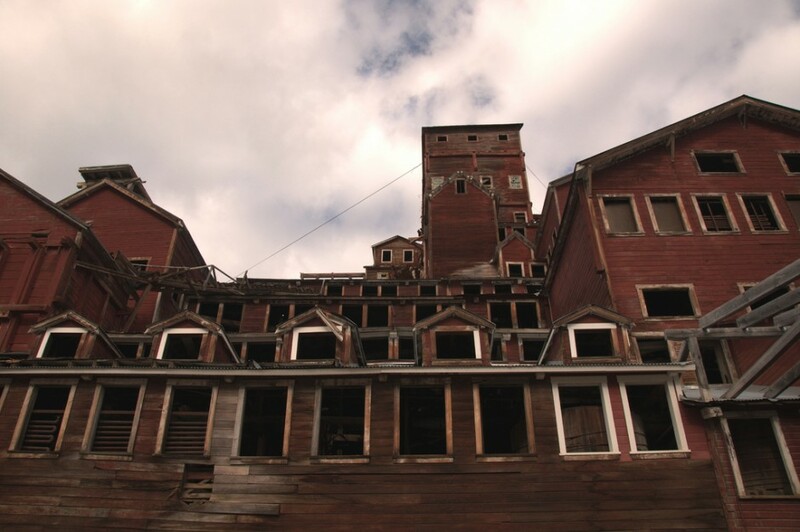 After its founding in 1862 it operated as a Montana gold mining town for just over a hundred years before the last residents abandoned it. Ludlow was founded as a water stop for the Atlantic and Pacific Railroad in 1883. Several years later miners found ore in the nearby hills. 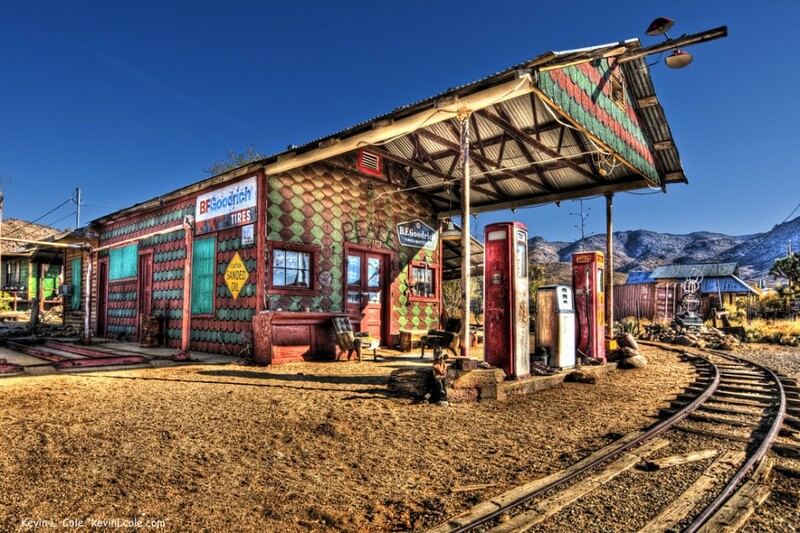 The town boomed from 1906 to 1940 as a railroad town operated by the Pacific Coast Borax Company, which brought borax and other mining products from Death Valley to the rest of the country via long-distance Santa Fe Railway lines. 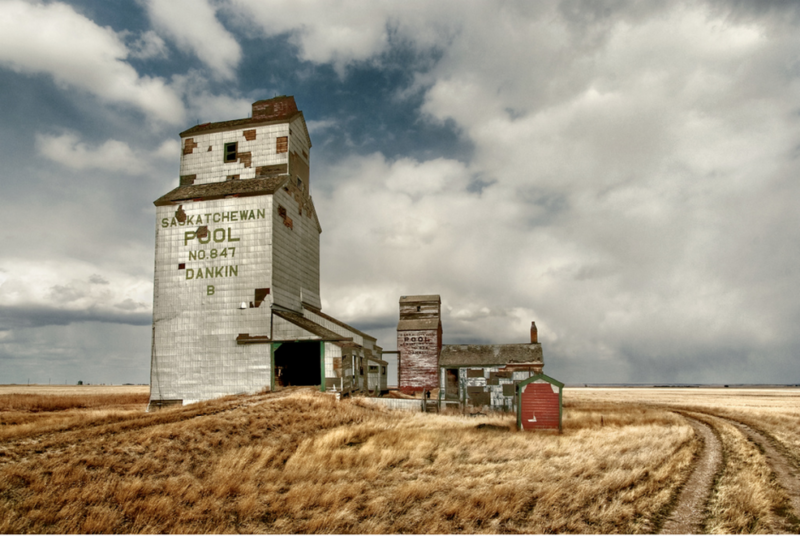 Dankin was the site of a former Saskatchewan Wheat Pool grain elevator that was constructed in the early 20th century by United Grain Growers. As the industry left, this structure remained. Chemung Mine operated from the earliest days of the 20th century through about 1938. Six or seven buildings survive to this day, and there are still several mines in the vicinity. 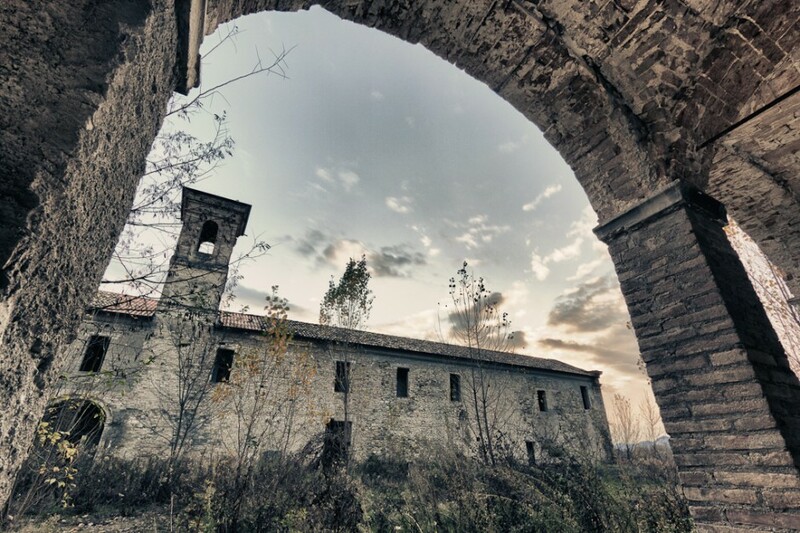 In 1376 the Lord of Monteverde won control of Fermo with the help of an army of foreign mercenaries. His sheer cruelty earned him the title ‘The Second Nero.’ Three years after his takeover, the citizens rose up against the tyrant, and he fled along with one thousand knights to take refuge in Montefalcone. 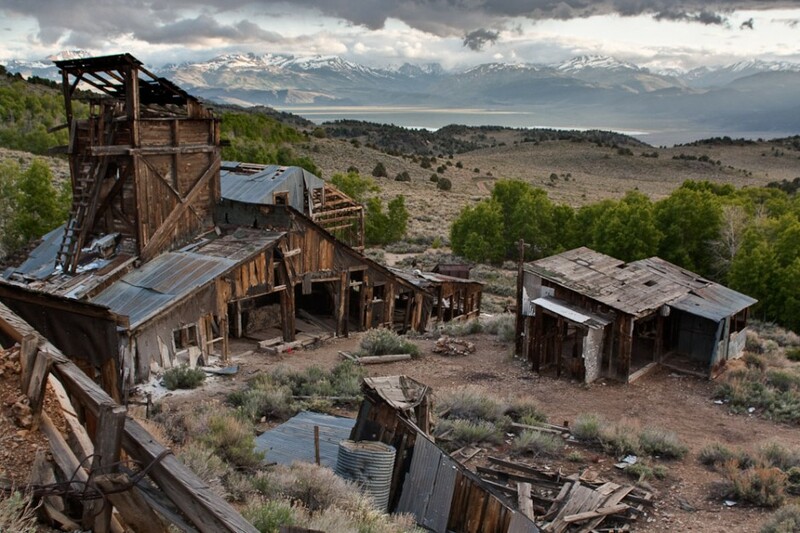 In 1876, the Standard Company discovered a lucrative deposit of gold-bearing ore, which changed Bodie from an isolated mining camp to a Wild West boomtown. 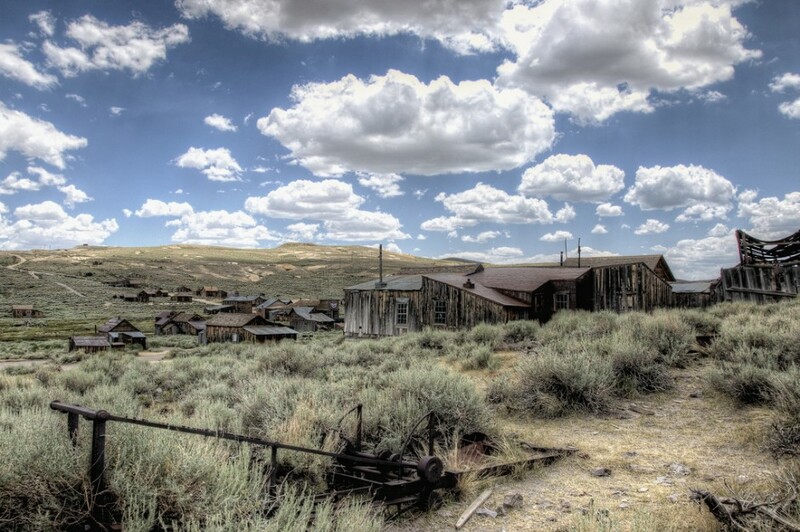 Discoveries in the adjacent Bodie Mine two years later attracted even more hopeful people. Gilman was founded in 1886 as part of the Colorado Silver Boom. 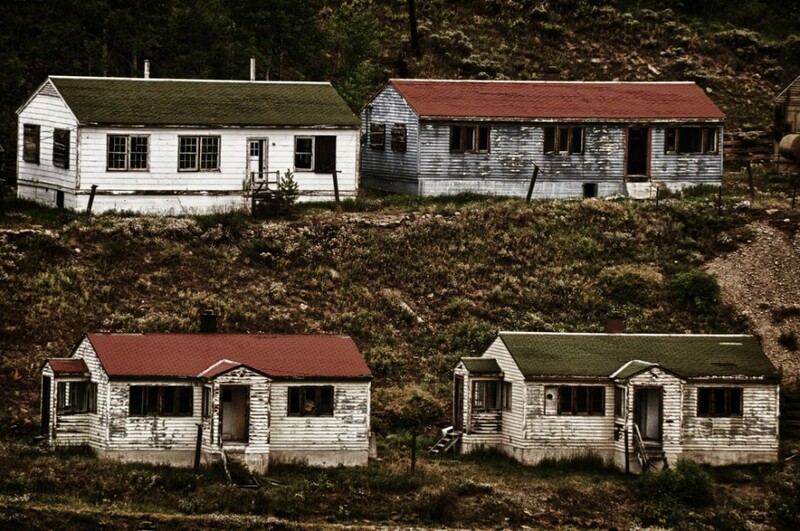 The town became the epicenter of lead and zinc mining in Colorado. Nearly 100 years later the town was abandoned by order of the Environmental Protection Agency because of high levels of toxic pollution. In the 1890s Goldfield was thriving with 3 saloons, a boardinghouse, a general store, a blacksmith, a brewery, a meat market, and a school house. When the quality of ore in the nearby mountains plunged, the town died slowly. In the summer of 1900, two prospectors in Alaska spotted a green patch of hillside that looked like it'd be good grazing land for their horses. The green turned out to be on top of a mountain of copper ore. They, together with several friends, formed the Chitina Mining and Exploration Company. 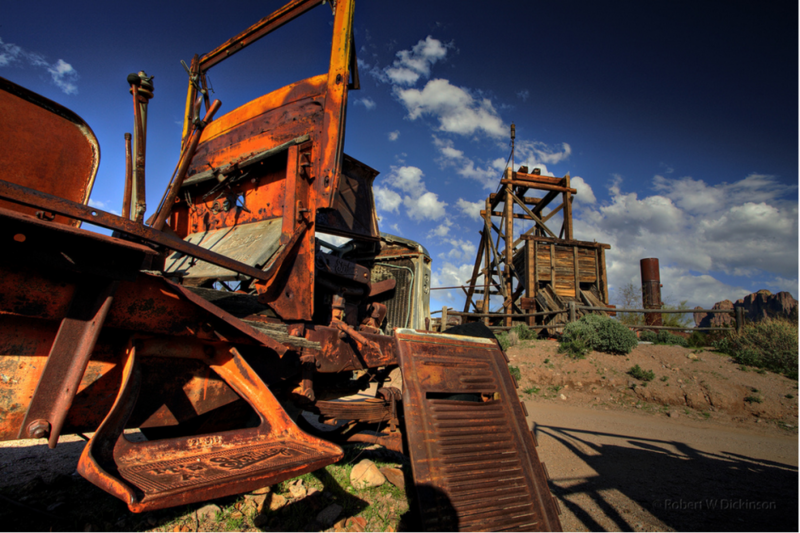 Bodie began it's initial decline with the 1912 closure of its newspaper, the Bodie Miner. By the following year the Standard Consolidated Mine had closed. In 1914 mining profits were at an all-time low of $6,821. 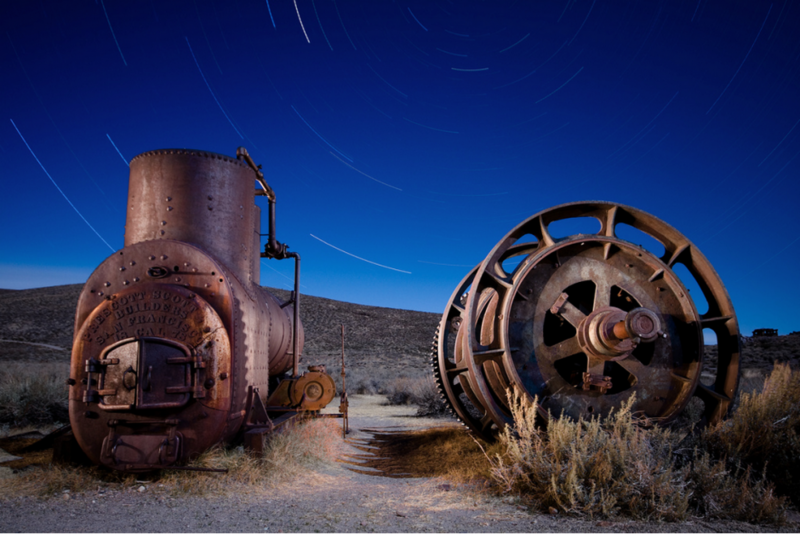 Three years later, the Bodie Railway abandoned service and scrapped its iron tracks. The last mine closed in 1942. Mining never resumed. In the early morning hours of April 26, 1986, Reactor No. 4 of the Chernobyl nuclear power plant exploded, releasing a radioactive cloud that spread over much of Europe and western Russia. The disaster affected the lives of millions of people, 350,000 of which were permanently evacuated from their homes in the immediately surrounding area. 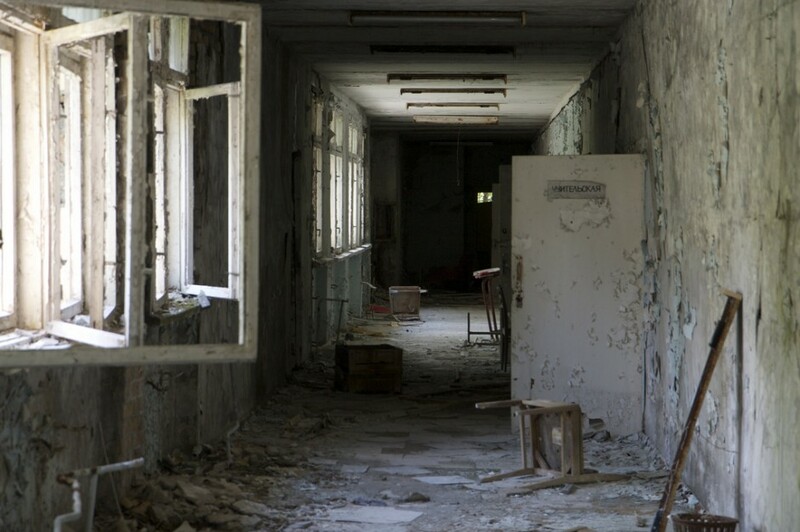 Pripyat became a ghost town overnight. Balaclava began as a sawmill in 1855. By the 1860s the town had a blacksmith and a hotel. 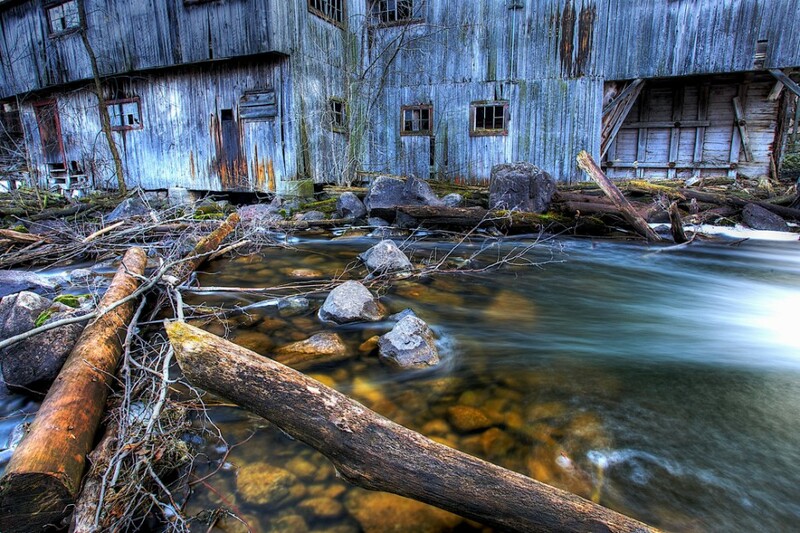 The water-powered sawmill continued operating until 1959. By that time the depletion of available timber had gravely reduced production. The Olympic Village, 14km west of Mitte, was built between 1934 and 1936. 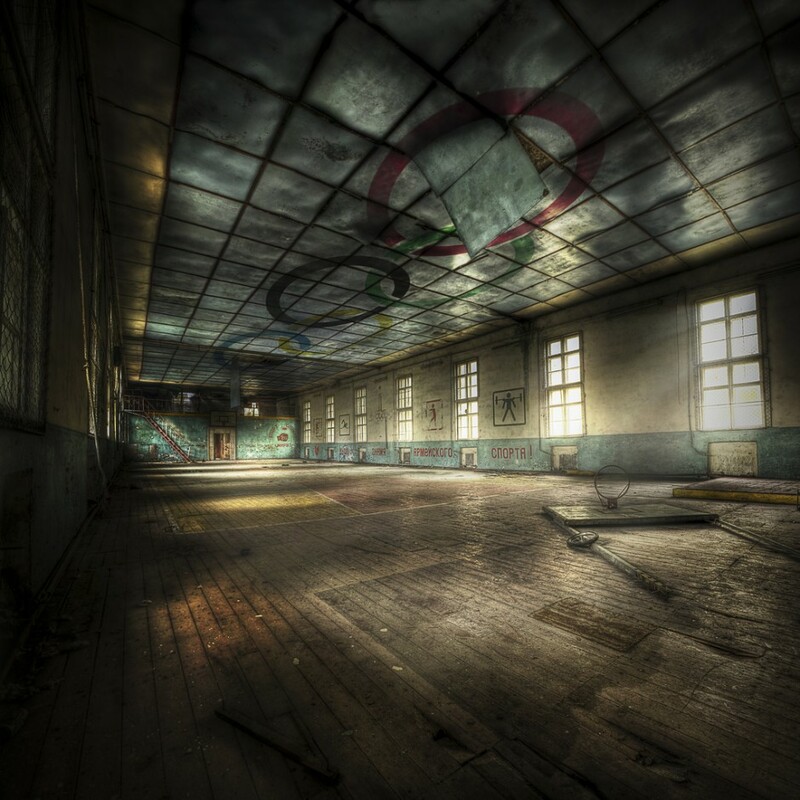 It was used during Hitler's Olympic games and abandoned once the last Russian soldiers left the area in 1992. Kolmanskop declined after World War I when the nearby diamond-field slowly depleted. 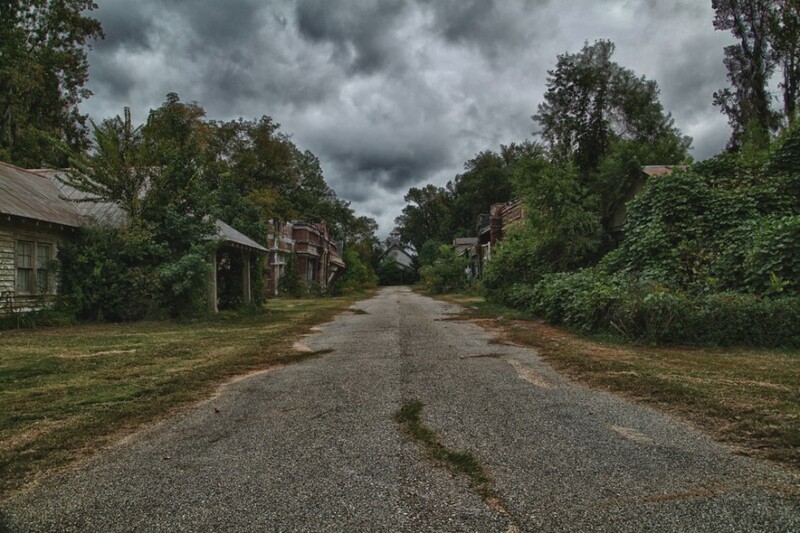 The town was ultimately abandoned in 1954. 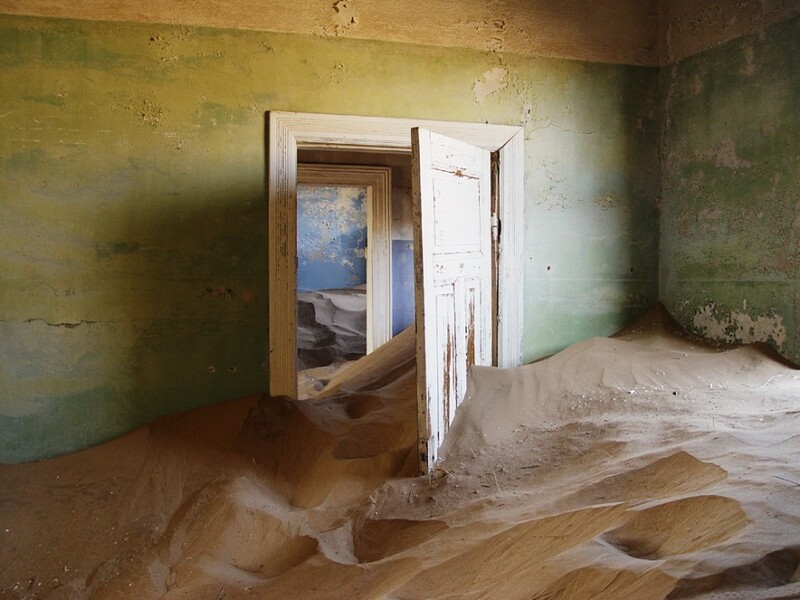 The desert consumed the town, with insides of houses knee-deep in sand. In 1898 the Santa Fe Railroad came to Chloride. The community grew to 2,000 people with the discovery of nearby ore. By the 1930s mining had diminished and the railroad had left town. 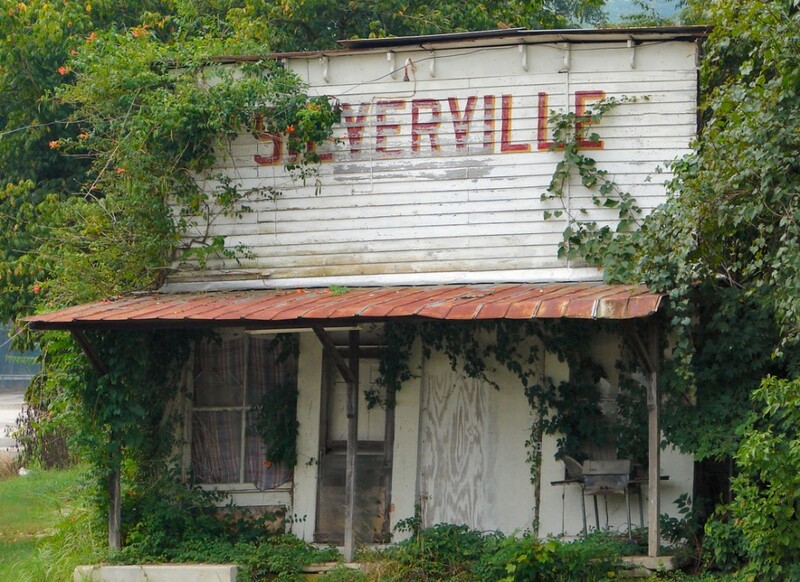 All that's left of Silverville, Indiana, are a few abandoned houses, shops, and this old store. People traveled long long distances to Hot Springs in search of a cure for a variety of ailments. 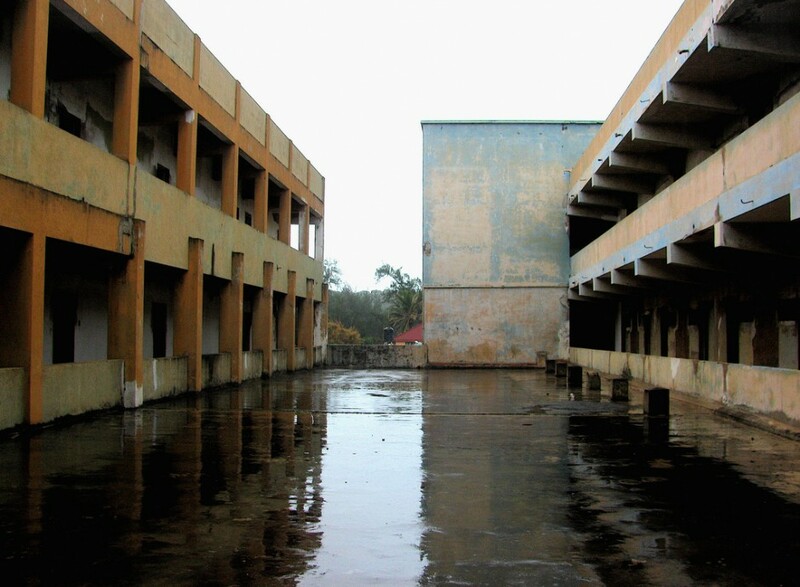 The site eventually became a full-service facility for invalids looking for treatment in the curative waters. 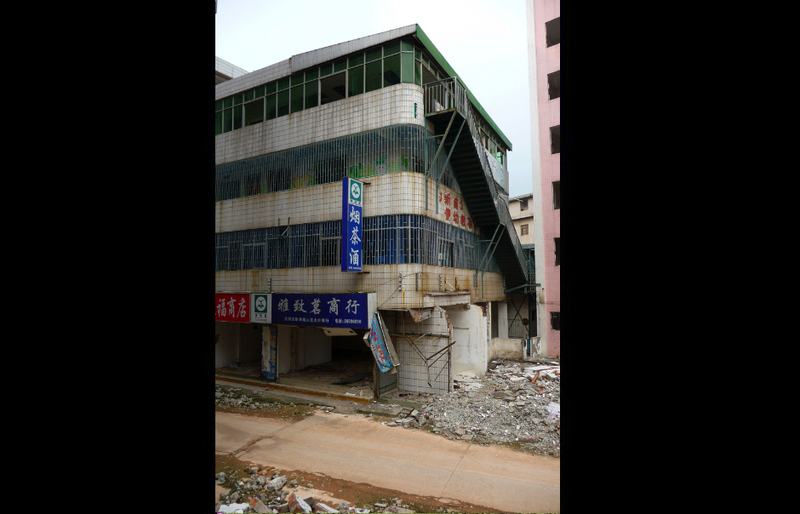 More then 60,000 people in Dachong were relocated to other parts of Guangdong Province to make way for a massive redevelopment project. 1,400 buildings in this area are scheduled for demolition. Shoshoni had a short-lived love affair with uranium and nuclear power in the 1980s. It didn't last long, and the population slowly dwindled. 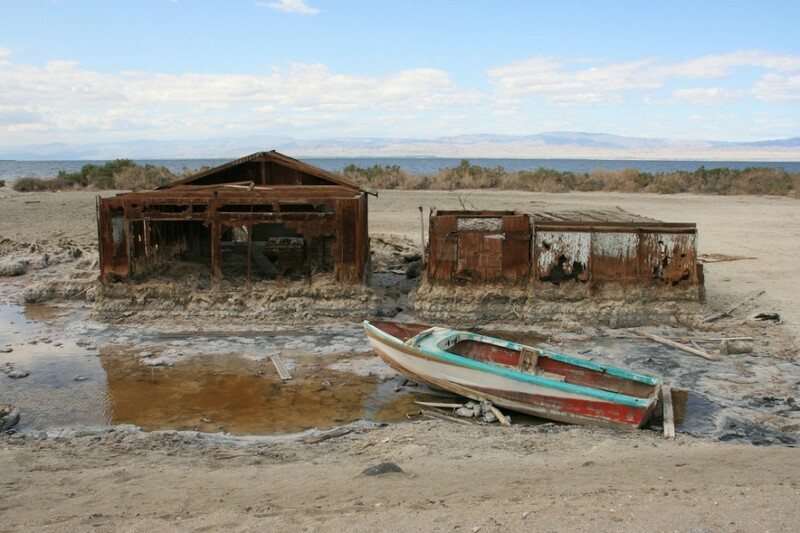 In 1900 the California Development Company constructed irrigation canals that would divert water from the Colorado River into a dry lake bed called the Salton Sink. These canals made the land fertile for a time, which allowed farmers to plant crops. It didn't last. 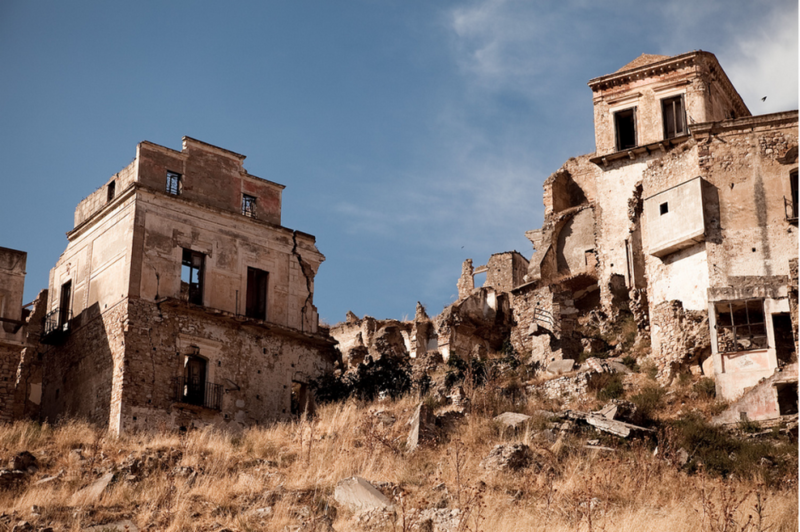 In the mid-twentieth century, several earthquakes took a toll on the viability of this town. It was then rendered uninhabitable by a series of landslides. These geological threats were due to Craco's location on a hill of Pliocene sands with overhanging clays and ravines causing progressive incisions. 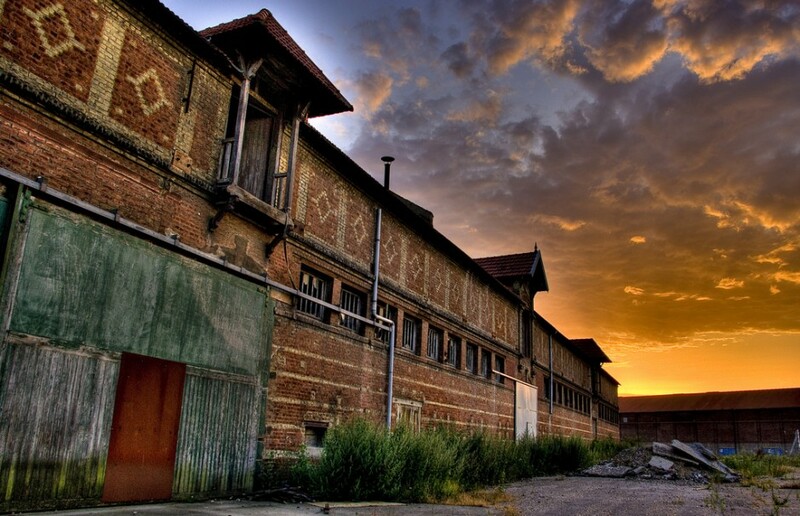 The Carabanchel Prison was built by the Franco regime to hold political prisoners after the Spanish Civil War. 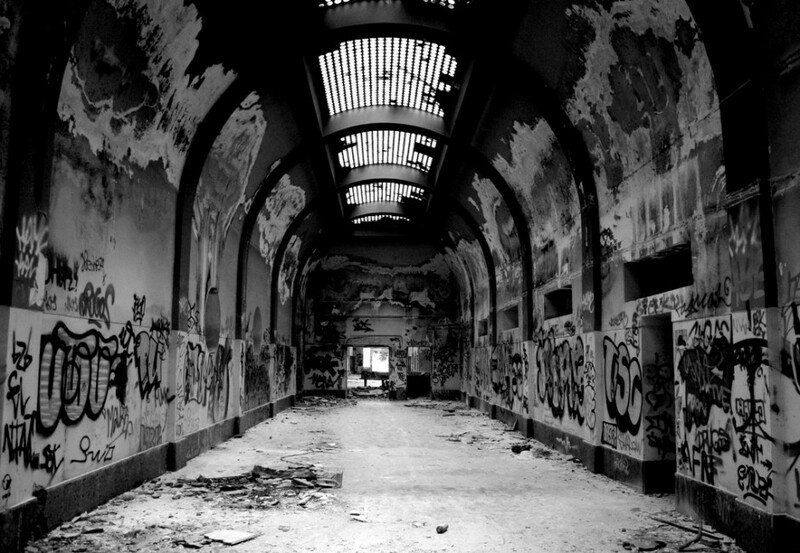 After its abandonment, the prison was heavily looted and inhabited by squatters. Today many of the walls are covered with elaborate graffiti. 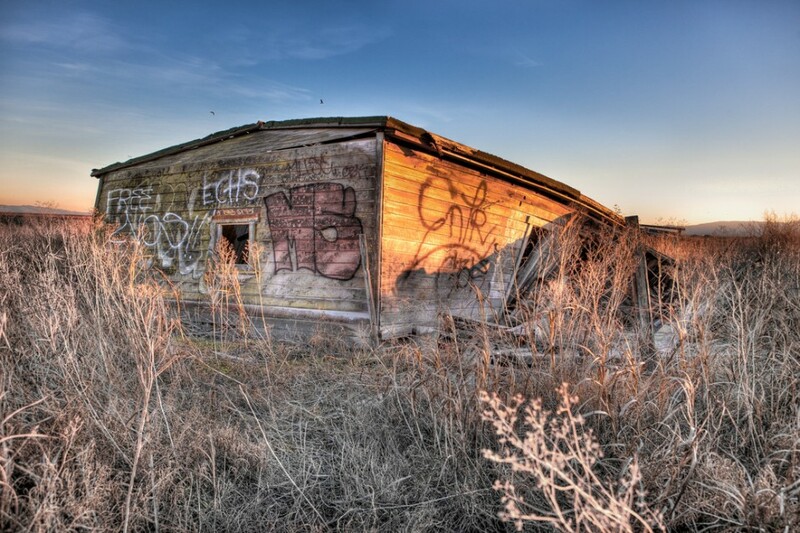 Picher was once a national center of lead and zinc mining, but after a century of unrestricted excavation the town was left with giant piles of toxic metal-contaminated tailings heaped throughout the area, making the land uninhabitable. Xai Xai was hit by flooding of the Limpopo River in 2000, and buildings were left under 10 feet of water. Some commerce returned, but many businesses did not. In the 1880s, hundreds of weekend visitors flocked to Drawbridge. 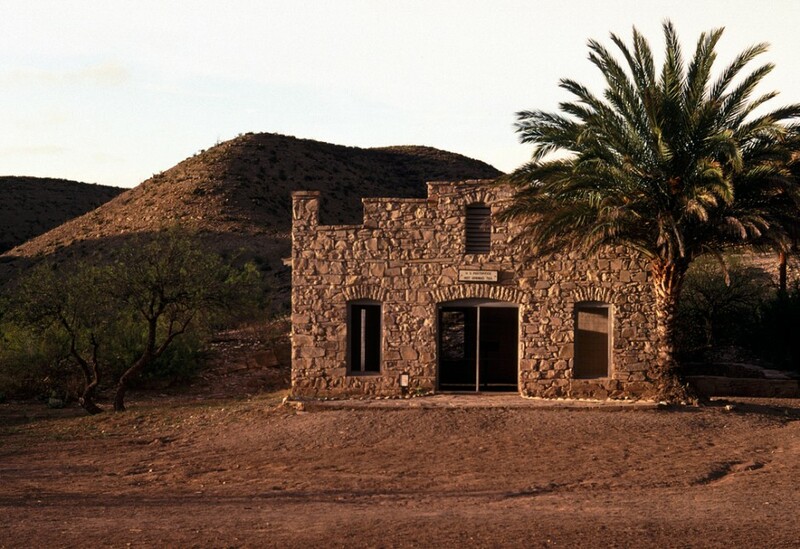 By the 1920s, the town had nearly 90 buildings, but no roads. Residents slowly left, seeking more convenient living. 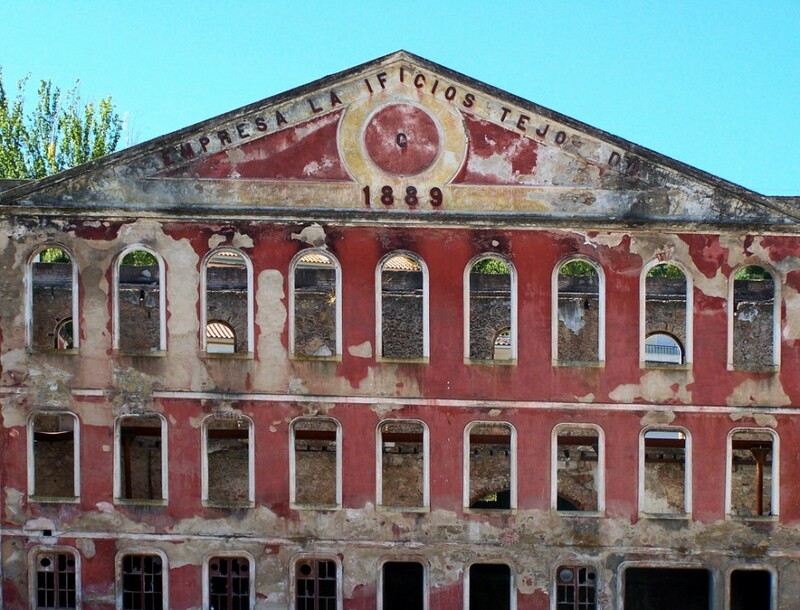 This abandoned factory provides a distant memory of Alenquer's once thriving industry. Le Havre was once a German-occupied city devastated by the Battle of Normandy. 5,000 people were killed and nearly 12,000 homes were destroyed by Allied air attacks. Despite this the city became the site of one of the biggest Replacement Depots in the European Theatre of operations in WWII.